The Spanish Civil War, and its medical, military and artistic contributions to modernity. The Spanish Civil War was a precursor to World War II, and served as a practice field where medical and military leaders experimented with new technologies and refined strategies. Creative minds from around the world drew inspiration and horror from the conflict, yielding Picasso’s Guernica, Hemingway’s For Whom the Bell Tolls, Miro’s El Segador and Orwell’s Homage to Catalonia. 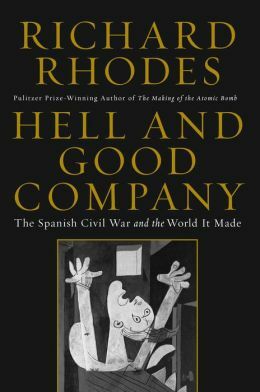 In Hell and Good Company, Richard Rhodes (The Making of the Atomic Bomb) examines the Spanish Civil War not in exhaustive chronology or complex international intrigue–although both are present–but in its gifts, good and bad, to the world that followed. As Germany and Italy begrudgingly contributed to the Spanish nationalist (fascist) side, and the Soviet Union just as reluctantly supplied the republicans, new military technologies met old. Advances in aircraft were matched by new strategies, including “carpet bombing,” a term used for the carnage at Guernica. In response, doctors and nurses from Spain and abroad innovated as well: while reliable blood typing and preservation for blood banking had been under development since World War I, safe transfusions in the field were born in the Spanish Civil War, as was the autochir (a mobile, sterile surgical unit). Rhodes follows various individuals, famous (Hemingway, Picasso) and less so (volunteer doctors, nurses and soldiers from around the world), providing a vivid, wrenching view of war, art and love. While it scrutinizes world-changing new technologies and ways of life, Hell and Good Company is also a fine, accessible introductory history of the Spanish Civil War, and an evocative human story. This review originally ran in the February 6, 2015 issue of Shelf Awareness for Readers. To subscribe, click here, and you’ll receive two issues per week of book reviews and other bookish fun! Not only For Whom the Bell Tolls, but The Fifth Column and the four stories that were collected with it. 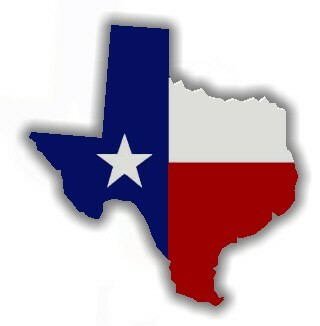 Those stories are excellent (better than For Whom the Bell Tolls, to my taste). “Night Before Battle,” in particular, is among my absolute favorite Hemingway stories. Well, me too! This book didn’t address the stories; and I need a reread, too. for sure, especially with your assertion here! Finished Ostend, and picked up this one, and excellent 1930s segue; glad I saved it – thank you! Besides the journalism & literature mentioned, there was a third major novel of the time (all 3 completed during the war, without knowing the outcome; I find this very curious!) Established French writer Andre Malraux is a brief but significant character early in Rhodes’ story. He leaves Spain in 1937 to write his book “Man’s Hope”, published 1938, a year before war’s end. I have had it on the shelf for >30yrs; now I am 100 pages into this riveting story well told, with fine characters who serve the narrative by illustrating the complex politics of the time. Already holding an interest in Barcelona and the Basque region, and now learning more of their key role in the Civil War, Orwell’s “Catalonia” is likely also in my future.